Size is not important! This sentence probably sounds familiar, does it not? In the world of property, a small area is certainly not a problem, and in certain circumstance it can become an advantage. Today's Ideabook will show you the endless charm of small houses. For in a limited area, we still have ample opportunity to be creative. Perhaps we can see it as a challenge to produce something out of the ordinary, or at least change an old form or appearance and shape something which leaves a deep impression. So today, we set out to explore 10 diminutive homes that will make you want to live in a small house! 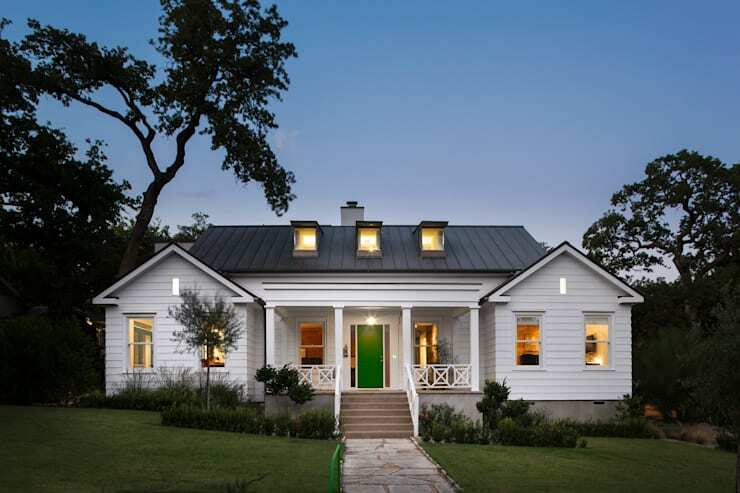 This small suburban house has a very delicate and charming appearance; a white building with dark grey roof, comprising skylights and chimney design in a charming country style. The stairs leading up to the veranda with 'southern state' style pillars are perhaps the most attractive feature of this small house. Have you ever seen such a sense of texture and design in a container house? In this country setting, it has a 'top-heavy' appearance, balanced like a bridge, using the lower quarter as a pillar or foundation. There is a prominence of nature, and the fusion of the natural tone of green gives a tranquil ambience to a rather singular property. 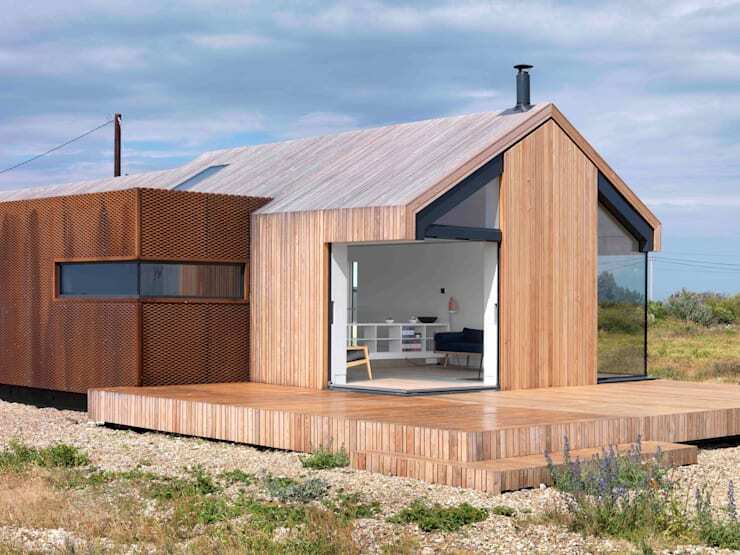 This small, prefabricated house uses many different building materials in blending its unique charm. The use of large windows will permit light to flood the house and create bright rooms within. 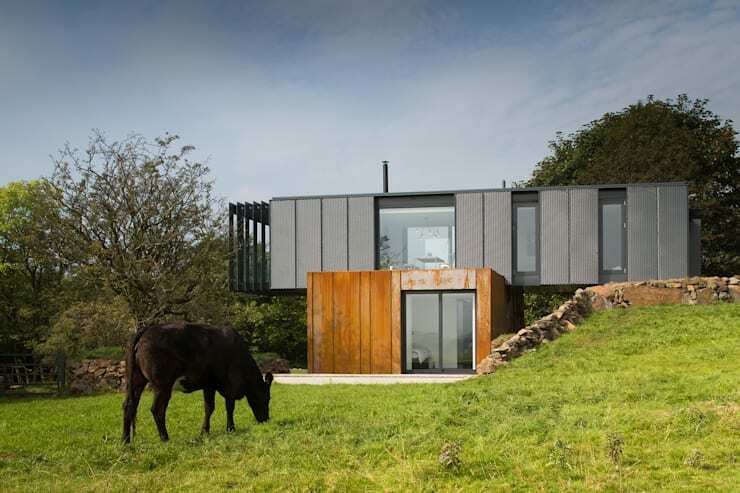 With iron-based framework, this small house, at first glance, has a very industrial aesthetic. 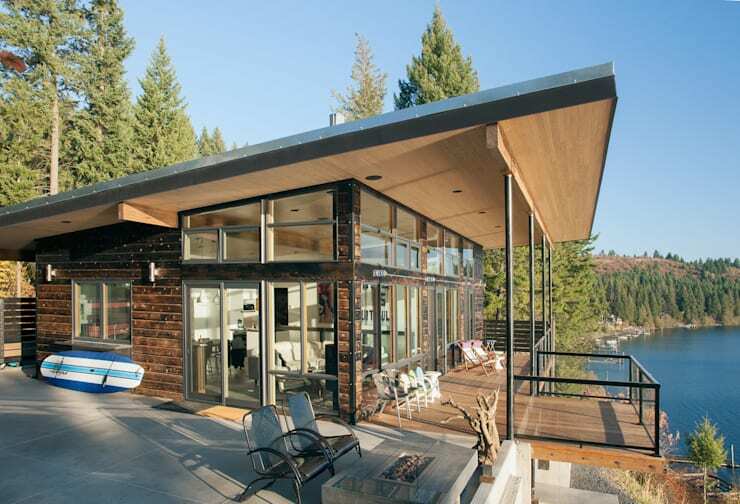 The glass and wood really serve to fulfill a more modern idea of house design. 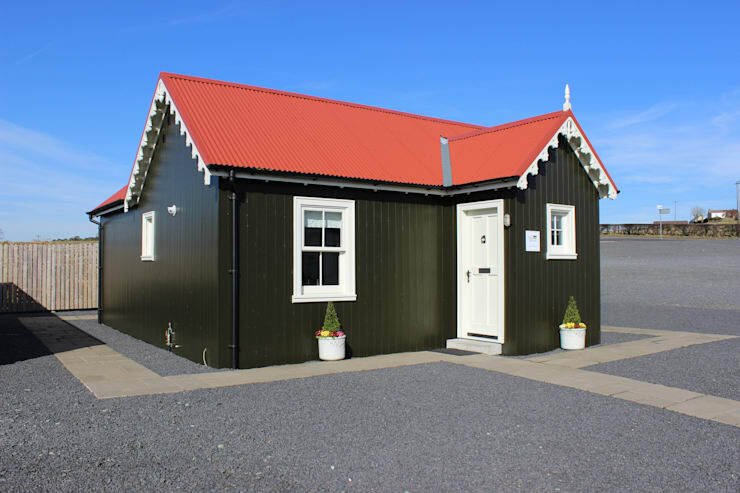 Black walls and red roof, coupled with white doors and window frames; this small house and its striking colour scheme certainly are memorable! 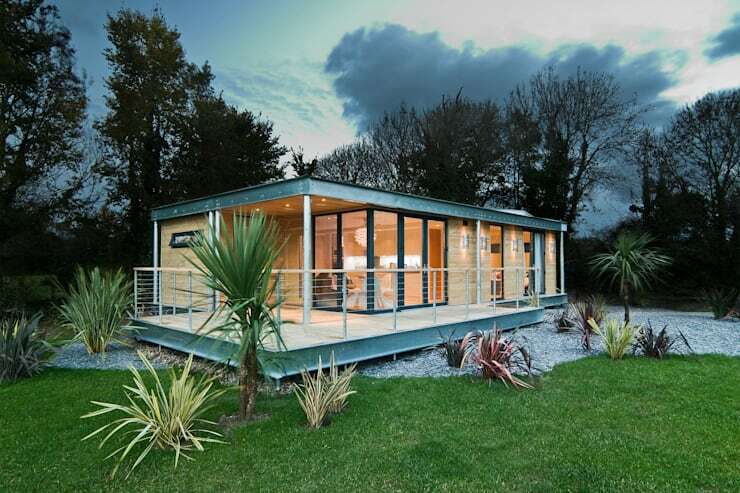 This beautiful timber structure is very modern, proudly sporting a large decking area. The terrace is a rare and excellent space-maximising feature. Here we have a highly unique architectural design featuring a sloping and irregularly shaped roof, with large windows and a terrace give open-plan living a new meaning. Check out this two-storey house with a boxed rectangular structure! Black wood adds a more stable personality, while the large patio area through the French windows allows homeowners to step into nature with ease. The compelling feature of this brick house is obviously its remarkable roof. A close second is the spacious wooden deck overlooking the lake, complemented by the massive amount of windows from which to enjoy the view. 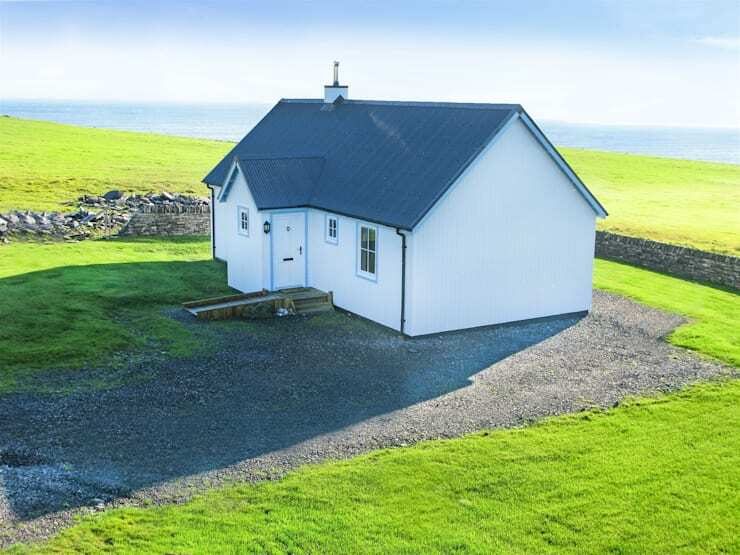 This seaside cottage in white and grey might be simple, but it doesn't lose anything when it comes to style. The genius of the white painted wood is that it actually brings out the beauty of the surrounding green grass to a greater extent. 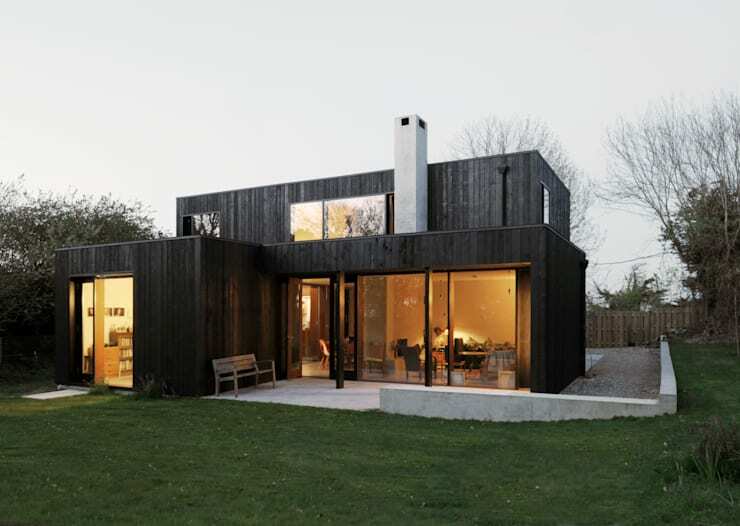 For another example of a gorgeous wooden home, take a tour of this peaceful abode. 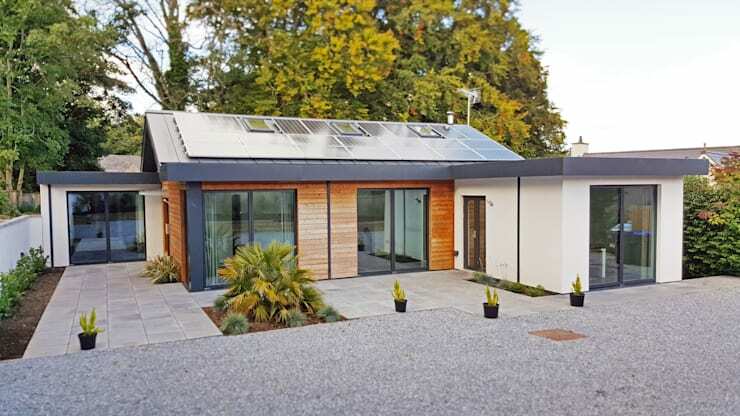 Does your small house compete with these examples?